I drilled holes and hung a Barbie shoe, phone, heart and a hairbrush from a resin Barbie cabochon. 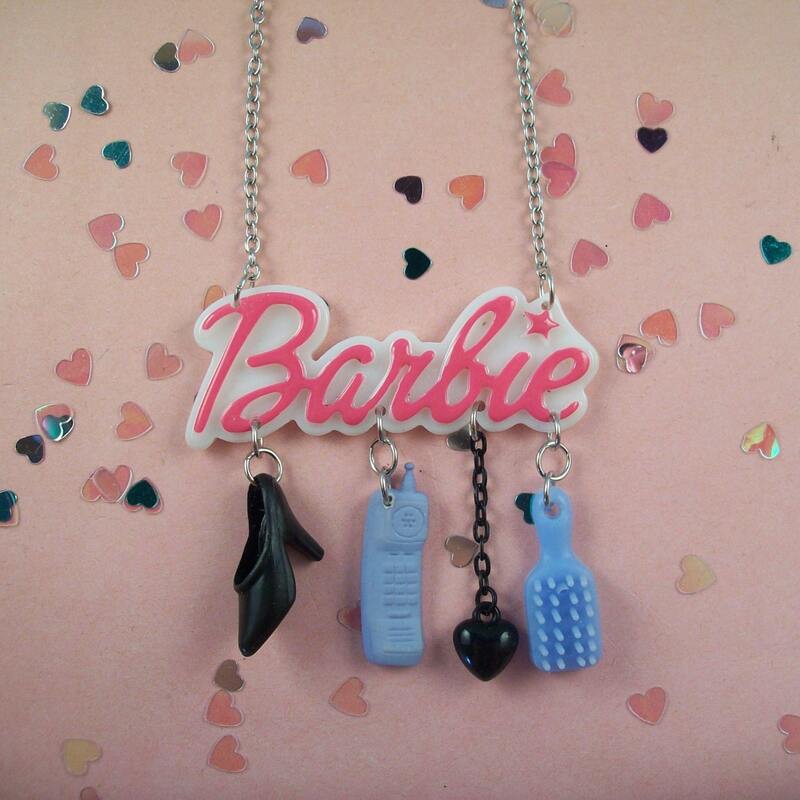 Necklace is 19" long and Barbie cab is 2.5" x 1". If you have any questions or photo requests please ask.